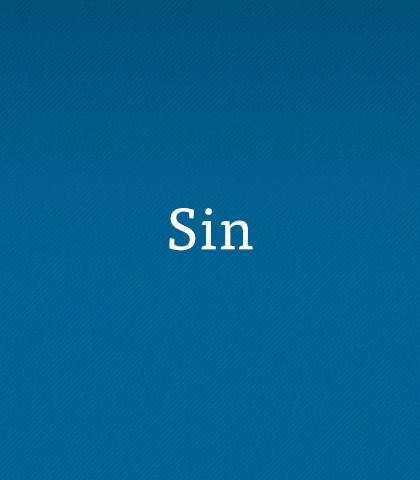 Sin isn’t a popular word. Most people think of sin as doing something really bad, like murder, assault, or robbery. But the word “sin” has the idea of missing the mark, not hitting the target. The idea is that God has set a glorious standard and when we fail to live by it, we sin. We say, do, and think things that are contrary to God's standard, and the problem is that no matter how much we try and achieve change by ourselves, we just can't succeed. The Bible teaches that our nature is imprisoned to sin. We miss the mark because we choose creation over the Creator. We look to succeed by our own strength, yet we never shake our own selfish sin. No matter what our education, religious heritage, ethnicity, or financial status, we cannot overcome the power of sin by ourselves. This is a problem. If you want to be a person of integrity, think about the consequences of sin rather than its pleasures and focus on Christ each and every day. Sometimes we see justice here on earth, but many times we don’t. However, God always acts justly. He will not and cannot ignore sin. Anger is a God-given emotion and it’s not necessarily sinful. The Bible acknowledges that anger needs safeguards and teaches us how to control it. Erosion is never sudden. It happens over time as you change your standards and accept things once rejected. Erosion can happen in anyone’s life. Rage is the most dangerous form of anger—it can so overcome a person that acts of violence are committed without conscious awareness. Spiritual erosion is subtle, slow, and silent but taking time to reflect and evaluate can stop erosion in your life. We’ve all experienced times when our prayers for healing go unanswered. But no matter what, God is in control. He heals according to His perfect timing and plan. Filled with practical tips from his more than 50 years of ministry, Chuck Swindoll helps us tap into the special mercy we need from God to complete the ministry to which He‘s called us. Coming to grips with God’s grace will loosen your inclination for sin. Once your faith is placed in Jesus and you’ve experienced His forgiveness, sin’s dominance will be loosed from your life.